The Supreme Court of British Columbia has turned down a request from a Vancouver Island doctor who sought to look at the anonymous reviews colleagues made about his practice. 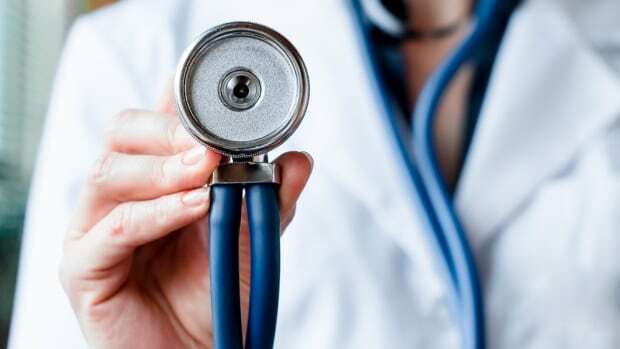 Dr. Keith Laycock, a family doctor in Mill Bay, B.C., said he wanted to look at the questionnaires — which are normally confidential — because he wanted to learn from how his peers and co-workers rated him. “It is counter-intuitive to deny access to the information that could allow for a deeper understanding and, hence, for an opportunity for improvement,” he wrote in court documents. In an email to CBC News, Laycock said the aggregated scores were “very positive” overall, but he wanted to see the original answers after he had trouble reconciling the numbers on one of the questions. The B.C. College of Physicians and Surgeons argued that releasing the documents would undermine the review process. The court agreed that keeping the responses confidential is key to ensuring candid responses. However, a freedom-of-information expert says the court’s refusal to permit Laycock to look at his co-workers’ ratings undermines provincial access-to-information rights and laws. “I feel that this sets a precedent for every self-governing profession that can override the basic right to information of anybody, including the person whose information it’s about,” said Ken Rubin. According to the decision, in 2014 the B.C. College of Physicians and Surgeons ordered an assessment of Laycock’s practice, which included anonymous surveys completed by medical colleagues, non-physician co-workers such as pharmacists, and patients. The anonymous reviews were part of the college’s quality assurance program, meant as a “proactive, supportive approach to improving quality of patient care,” the decision said. The process is designed as a learning tool for doctors, not as a disciplinary measure. The physicians submit the names of their peers and co-workers, and the patients are selected randomly. Throughout the process, all reviewers are ensured their responses will remain anonymous. The surveys are collected by a third party, and the results are compiled into a summary report with aggregated data that’s shared with the physician and the college. When Laycock got the assessment results in January 2016, according to the decision, he filed an access-to-information request to get the original questionnaires submitted by his co-workers and peers. He didn’t request the patient surveys, and said he suggested the questionnaires be anonymized. According to Laycock’s response to the college’s petition to the court, Laycock says he requested the surveys to better learn from them. In his response, he also submitted consent forms from the peers and co-workers he had selected to release the information. The college denied his request, citing privacy laws. Laycock requested a review of the college’s decision. In January 2018, the B.C. Information and Privacy Commissioner adjudicator sided with Laycock and ordered the college to disclose the questionnaires, including the names of the assessors. The college promptly filed for a judicial review in B.C. Supreme Court. Judge Brian D. MacKenzie issued his decision on March 15, siding with the college. In his decision he said the Freedom of Information and Protection of Privacy Act adjudicator gave Laycock “undue priority” and didn’t place enough emphasis on the public interest the anonymous reviews are meant to support. But Rubin says the decision undermines what laws like the Freedom of Information and Protection of Privacy Act are designed to protect — a person’s access to records about themselves that are kept by public institutions. “It certainly undercuts the information commissioner and I don’t know if it serves anybody good except for the college,” he said. Rubin says that, ultimately, making doctor reviews public would benefit the public in the long-term.